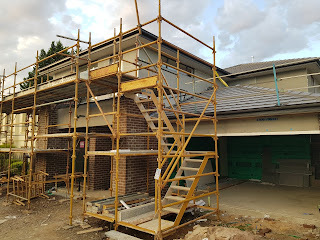 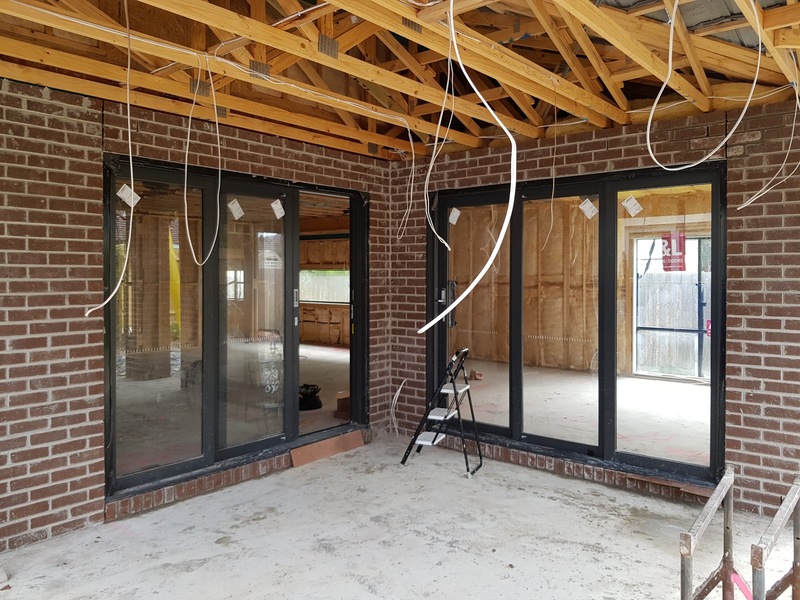 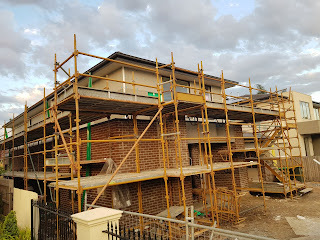 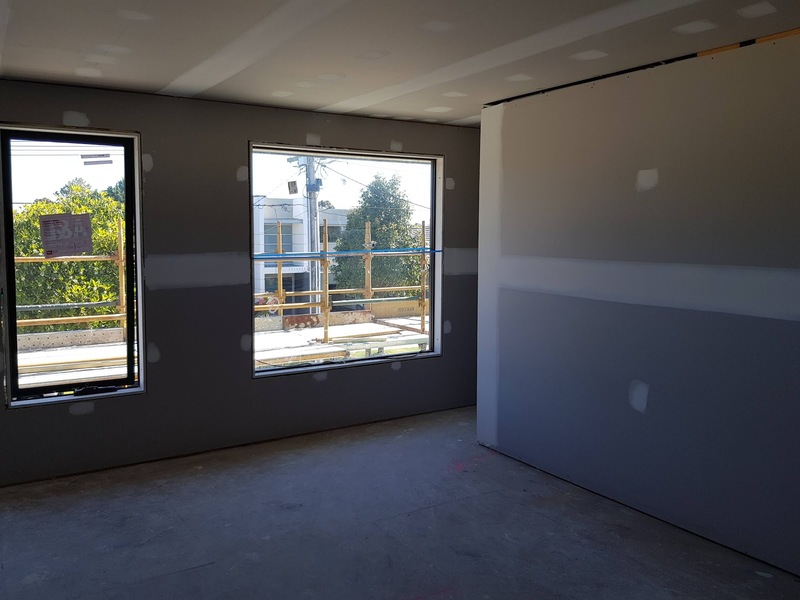 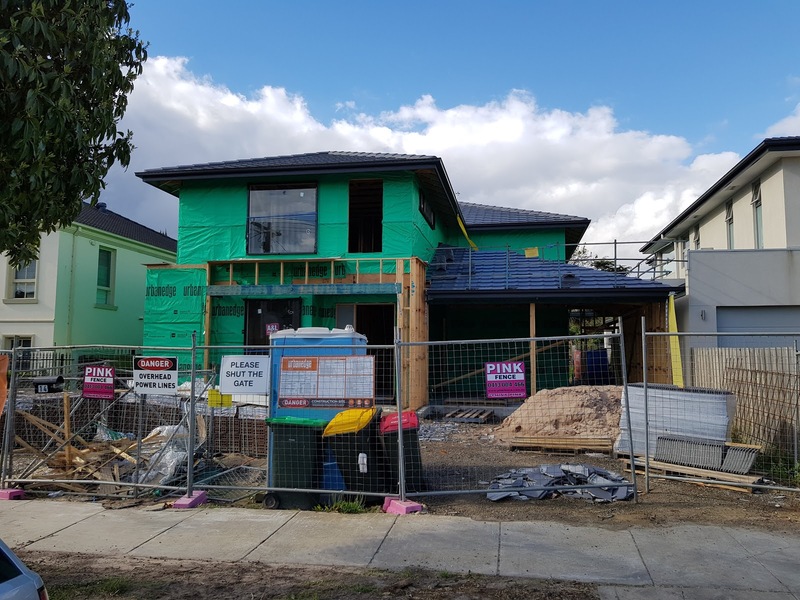 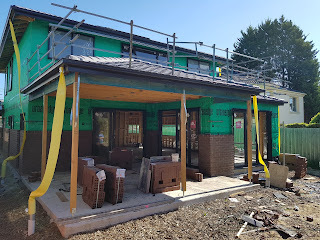 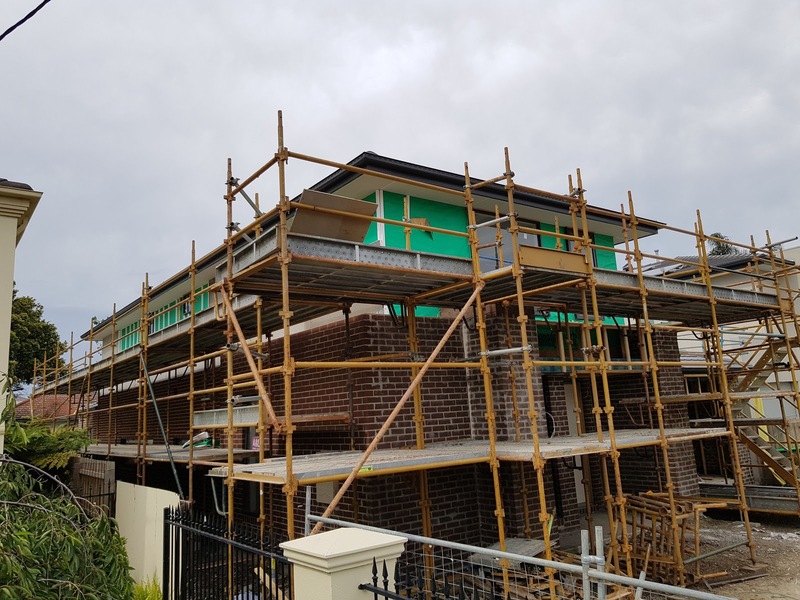 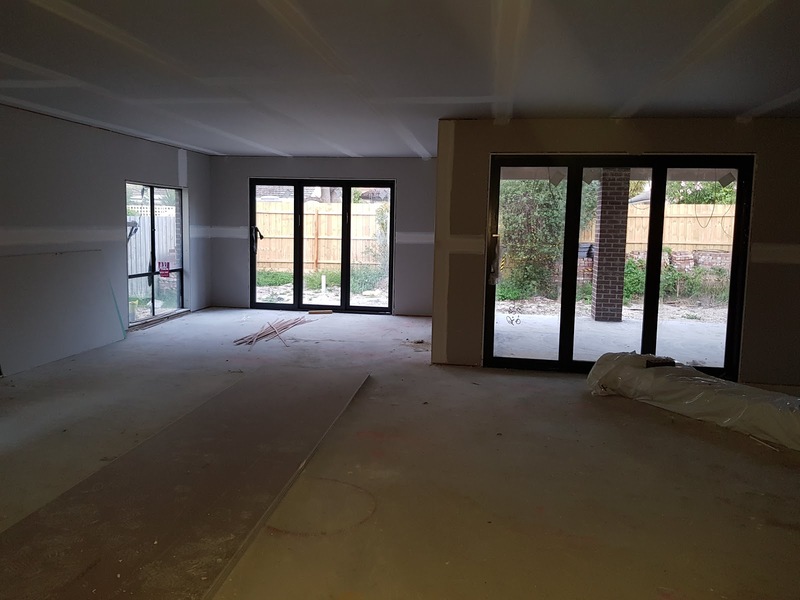 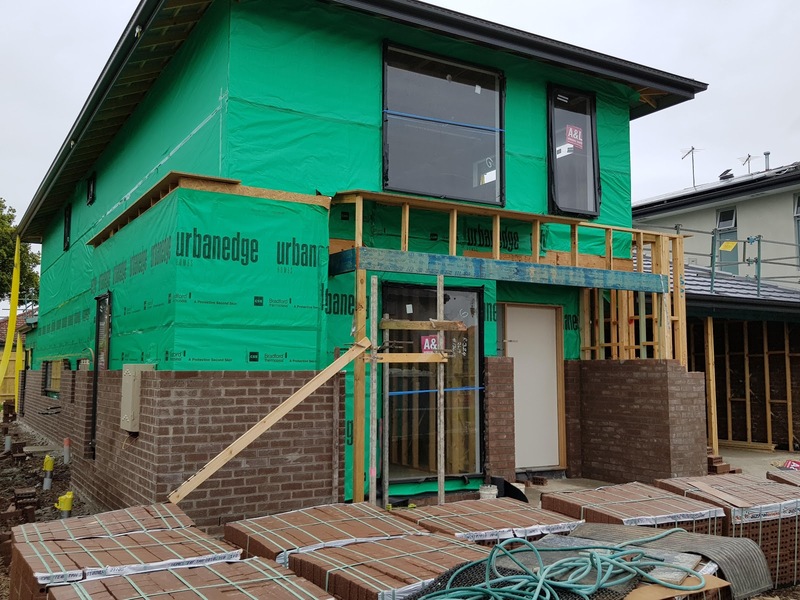 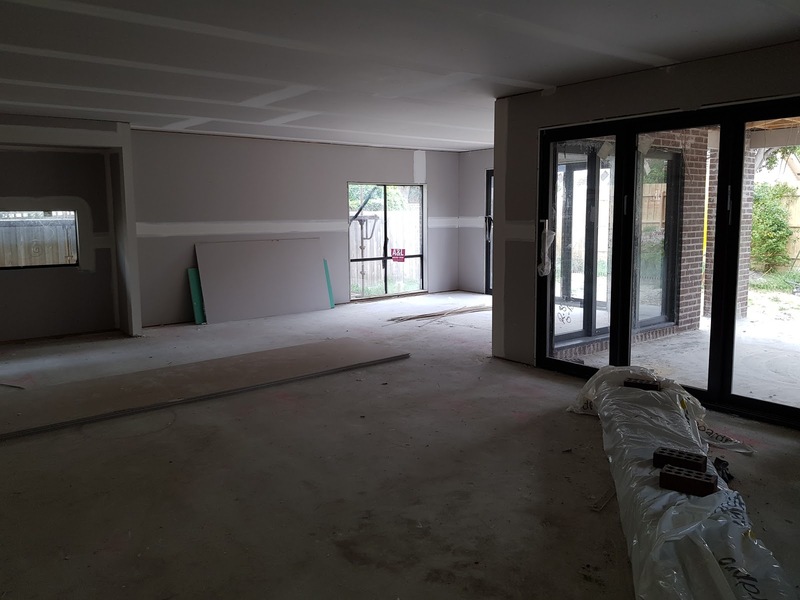 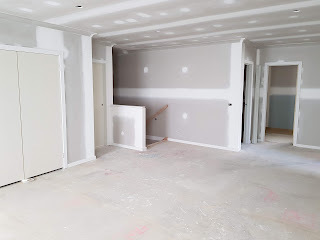 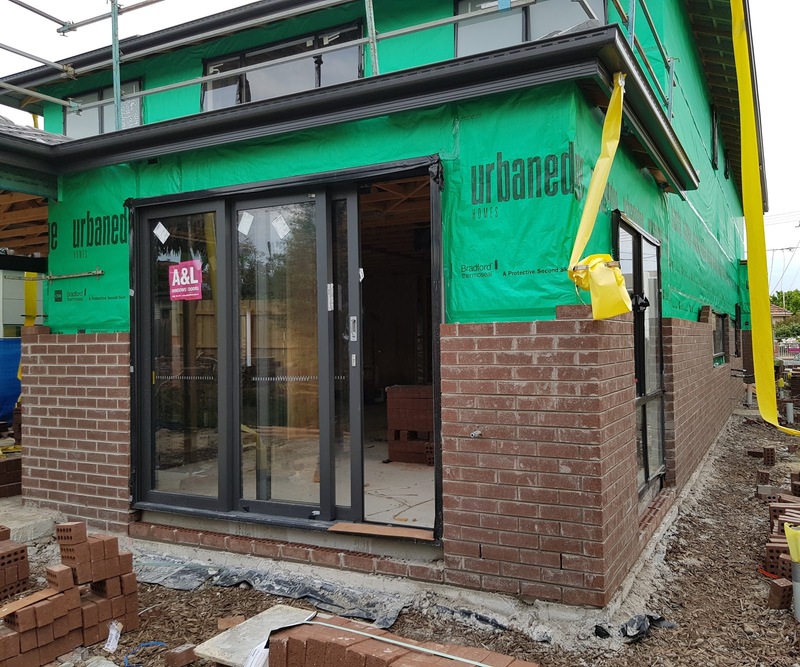 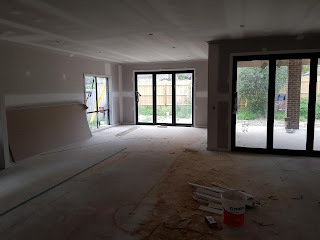 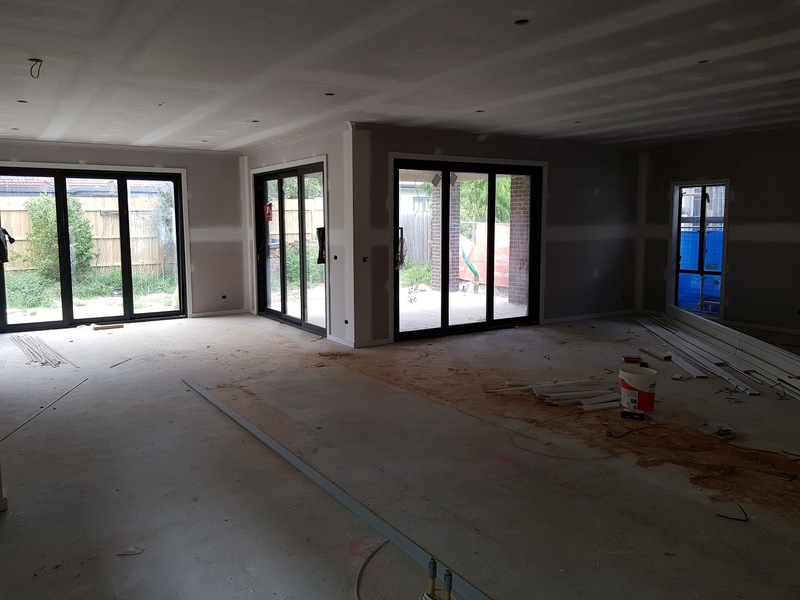 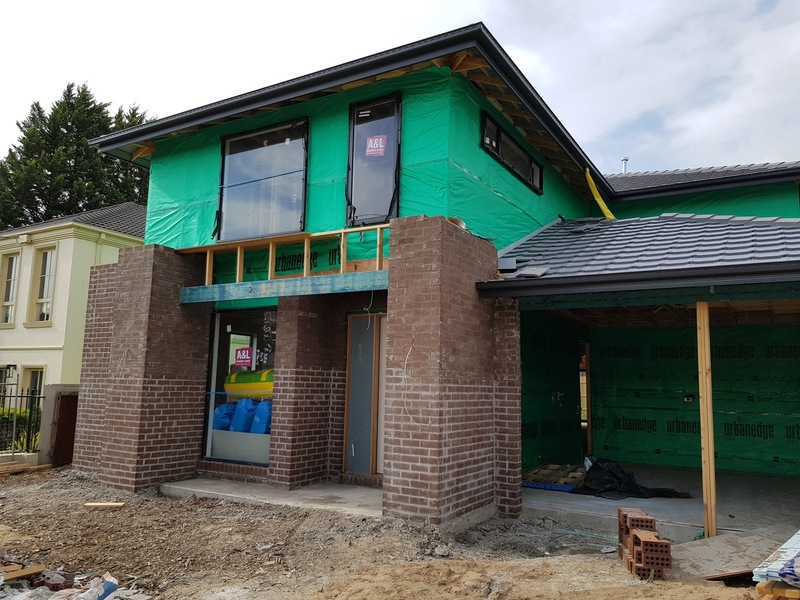 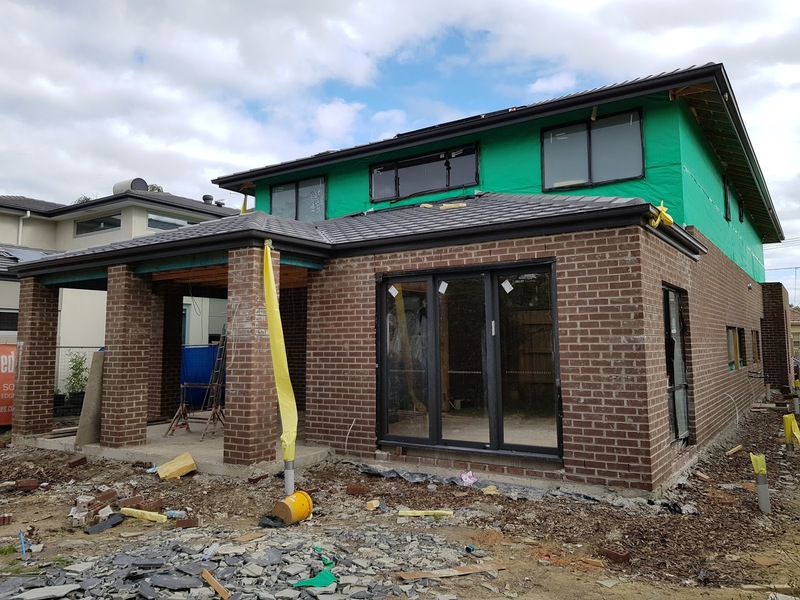 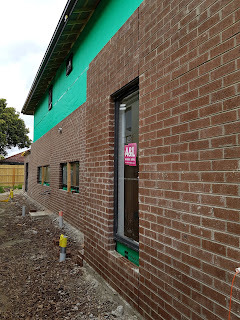 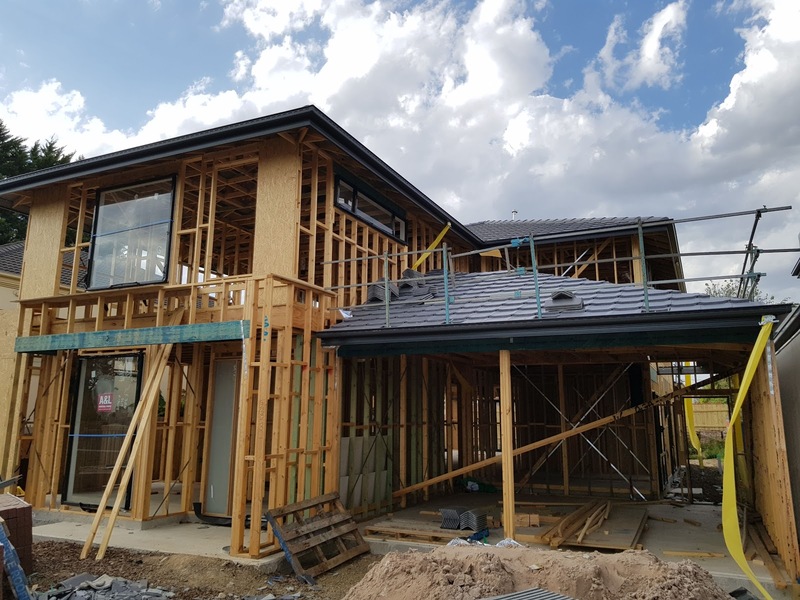 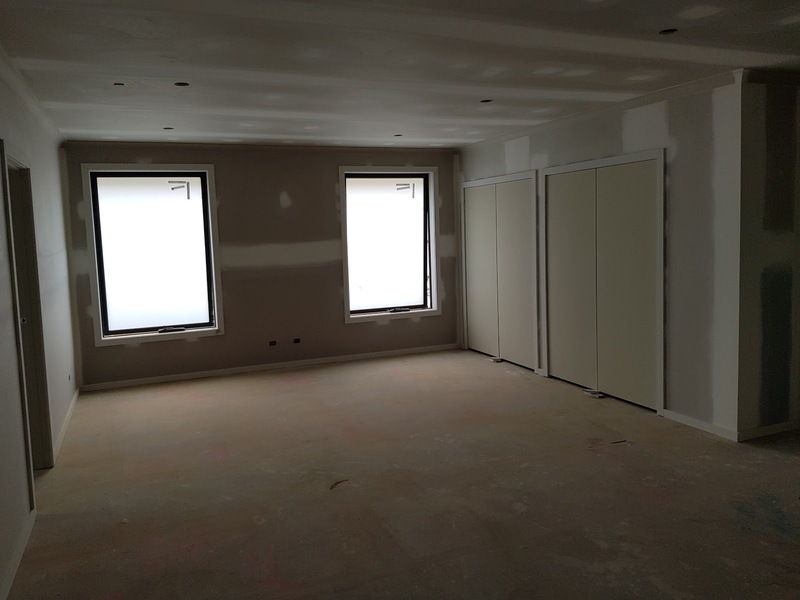 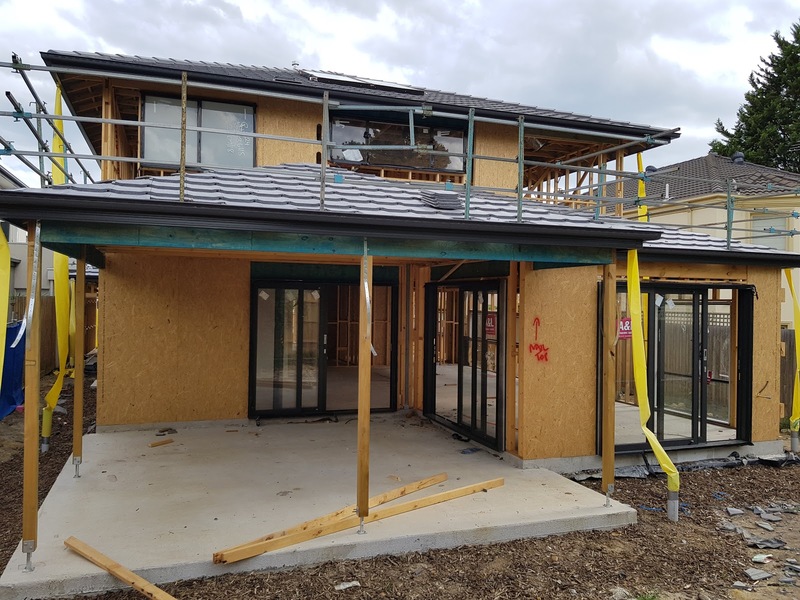 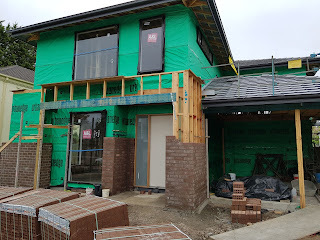 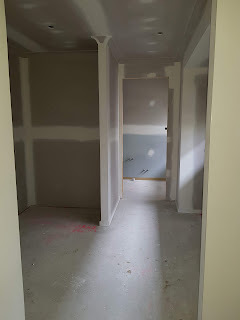 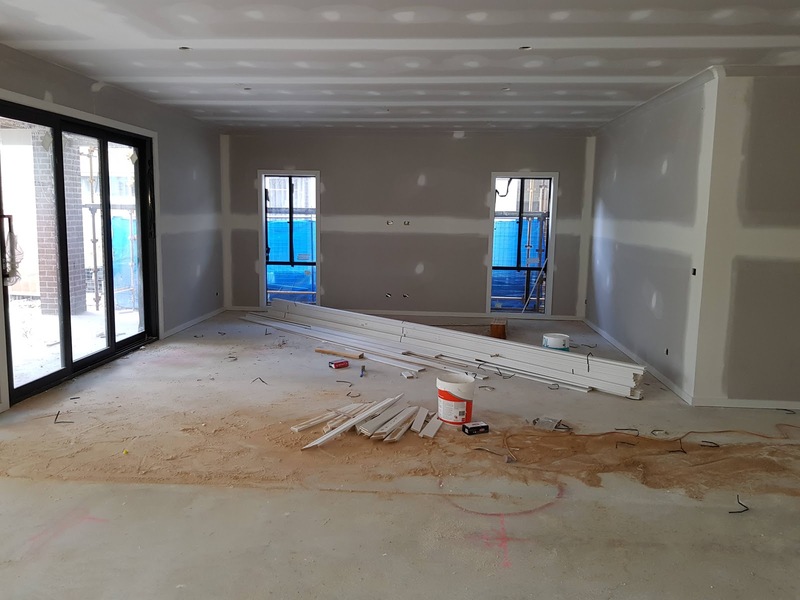 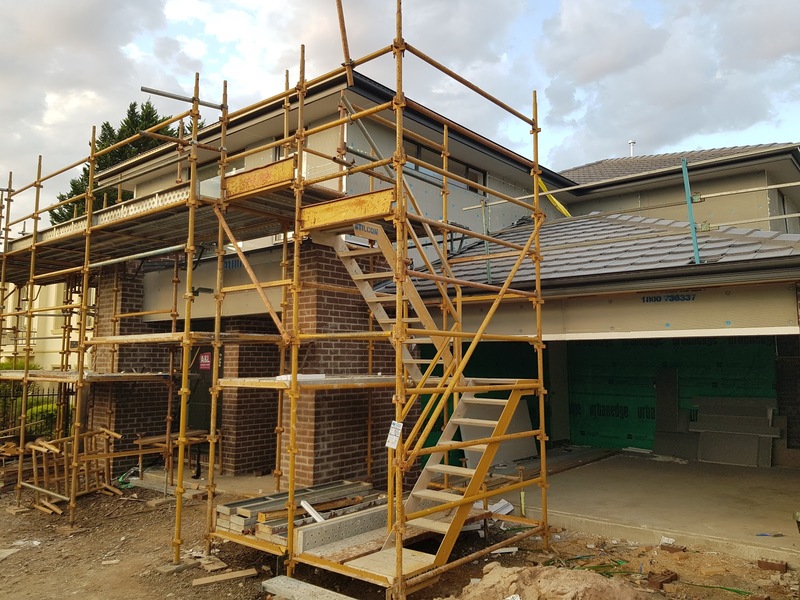 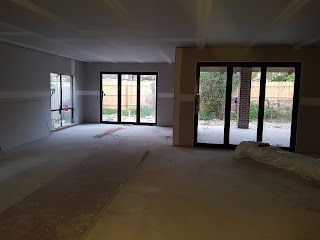 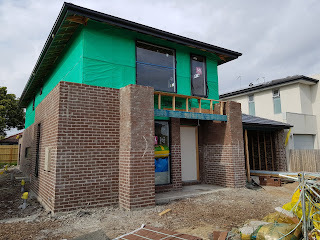 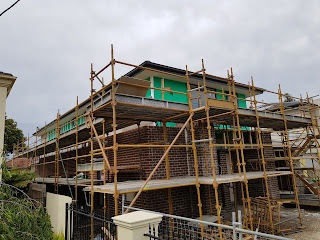 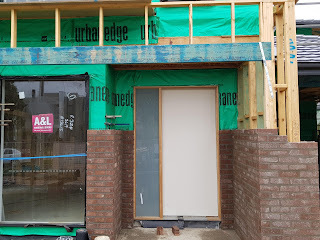 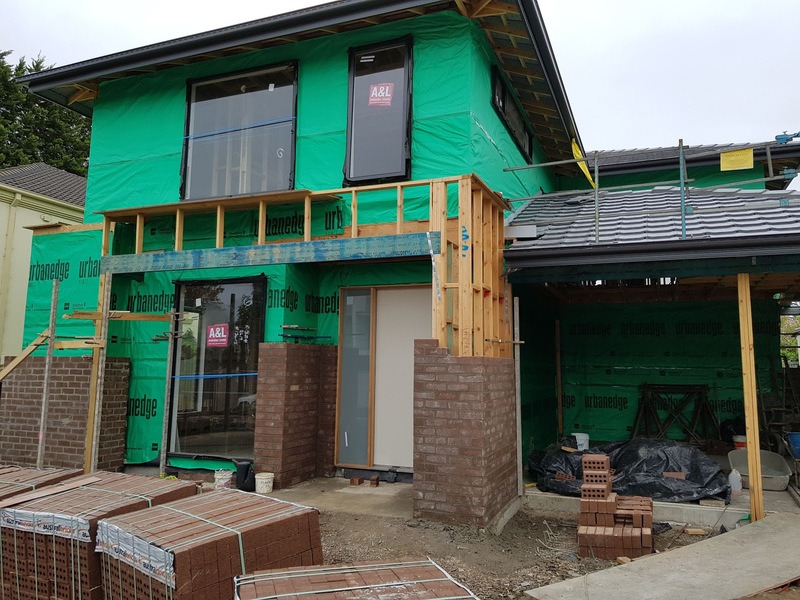 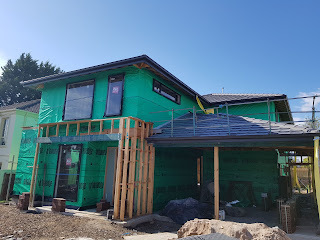 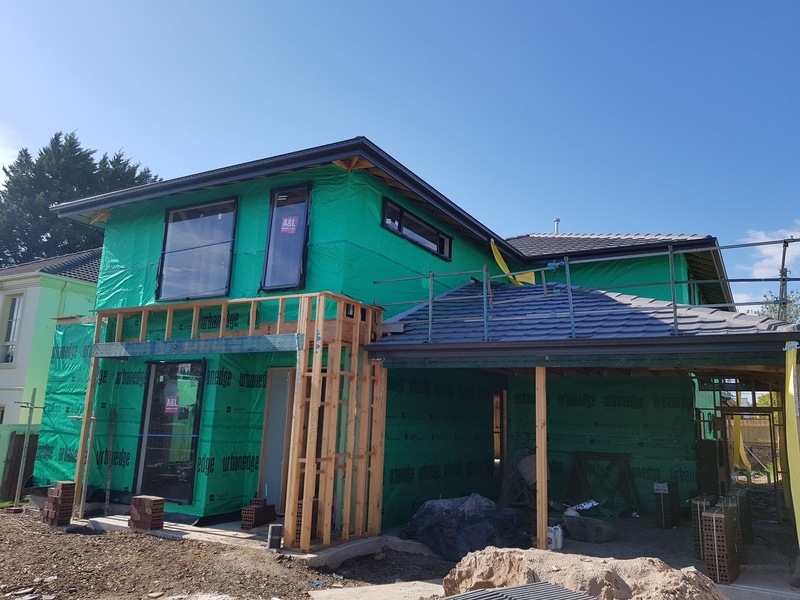 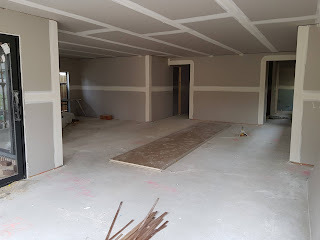 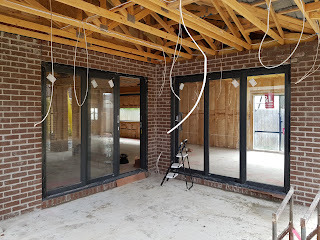 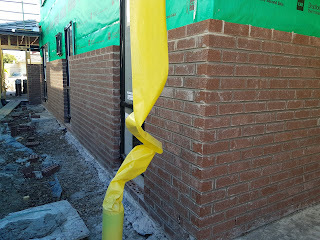 Officially the builders are closed for their holidays, but apparently some of the subcontractors will still be working, specifically the outside rendering and kitchen installation. 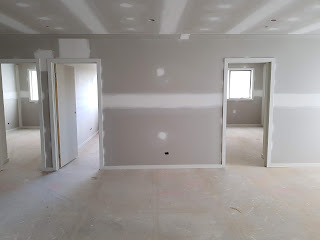 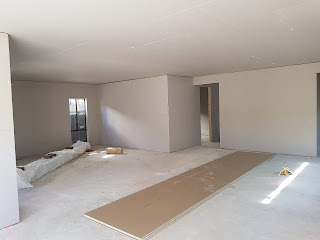 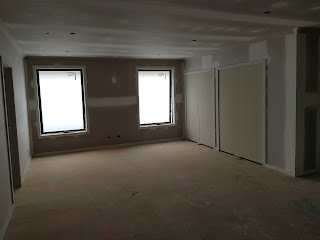 Plastering is complete, although there are still some touchups to be done. Doors, skirting, architraves etc are all done. 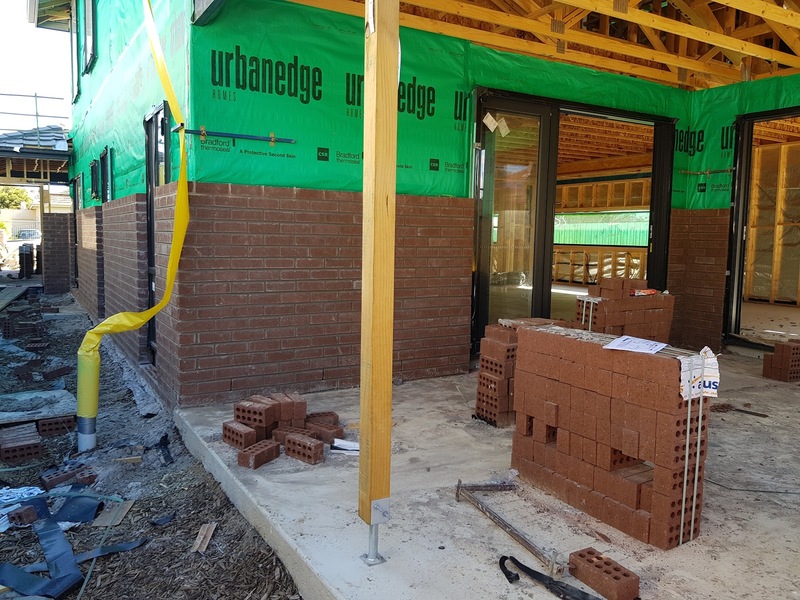 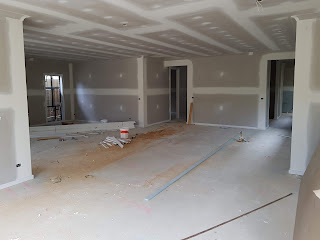 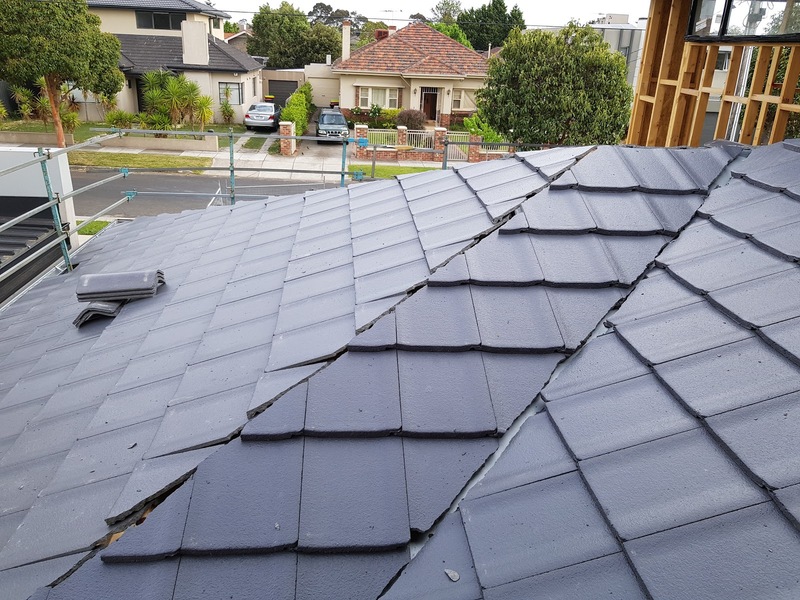 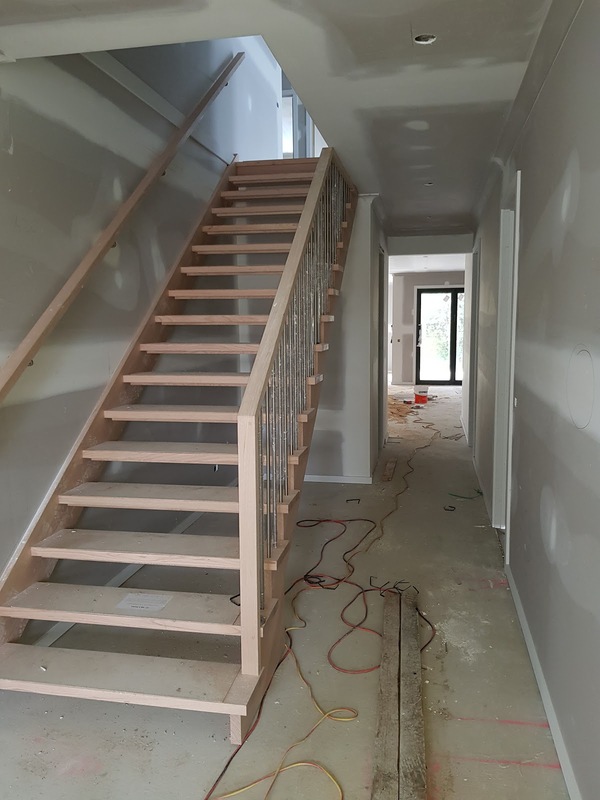 Completion is still scheduled for June, however to my untrained eye they seem to well ahead of schedule - they are playing their cards close to their chest though and won't say anything about finish date other then that they are "well on track". 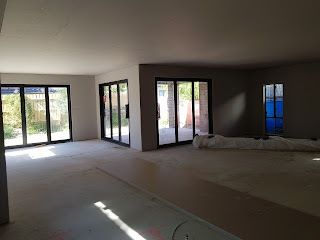 The plasterers were going great guns last week, and also started the external cladding to the top story. 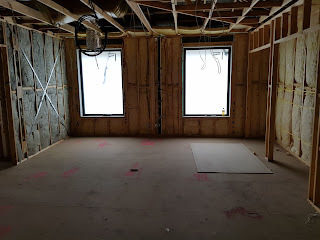 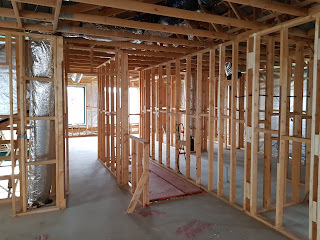 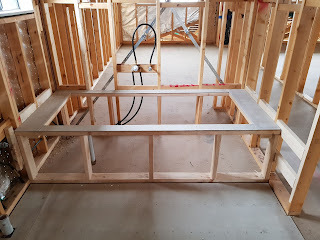 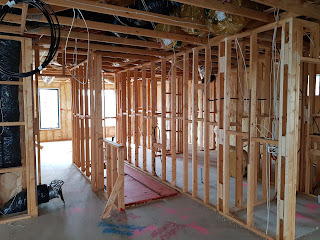 The bricklayers have apparently finished, all electrical rough-ins (and my speaker cables) are done, and the insulation is nearly complete. 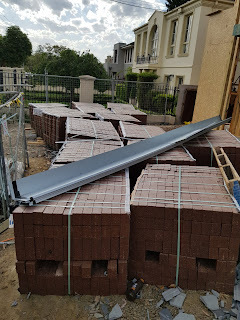 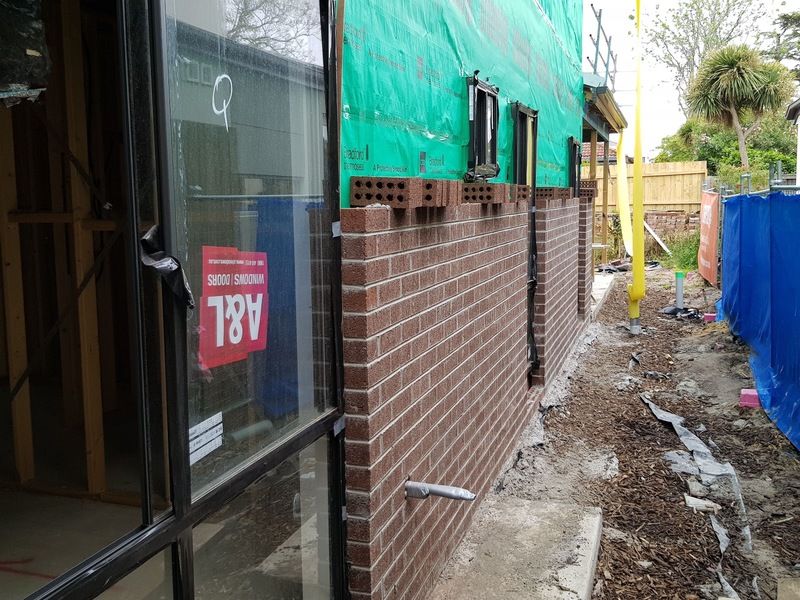 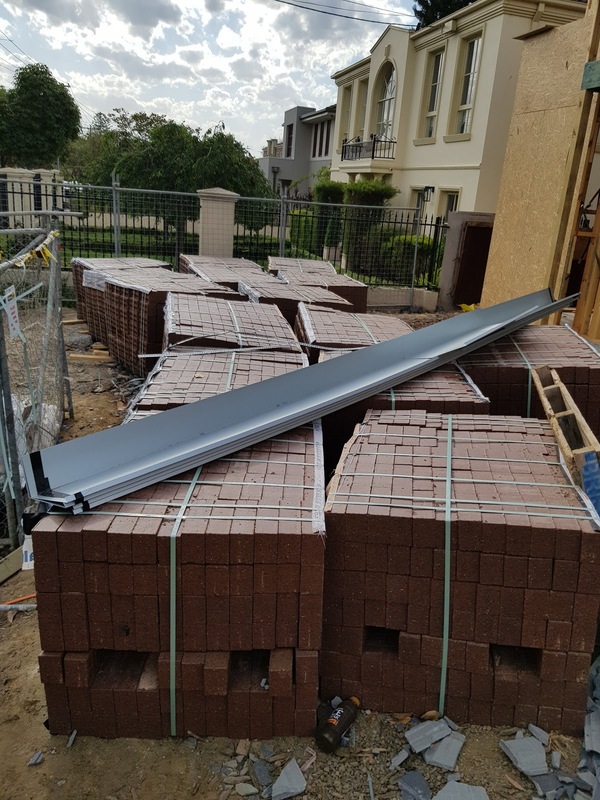 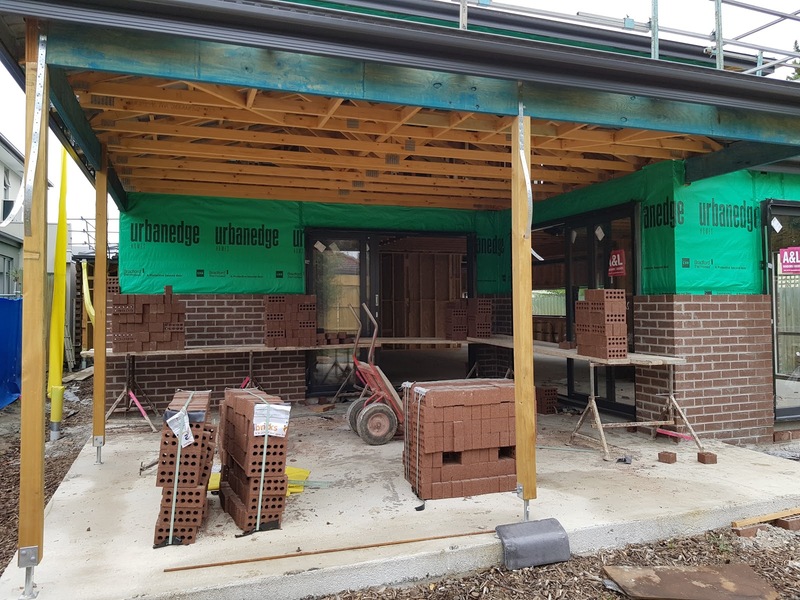 The bricklayers have been making good daily progress - it was raining today and they still showed up and managed to do some work. 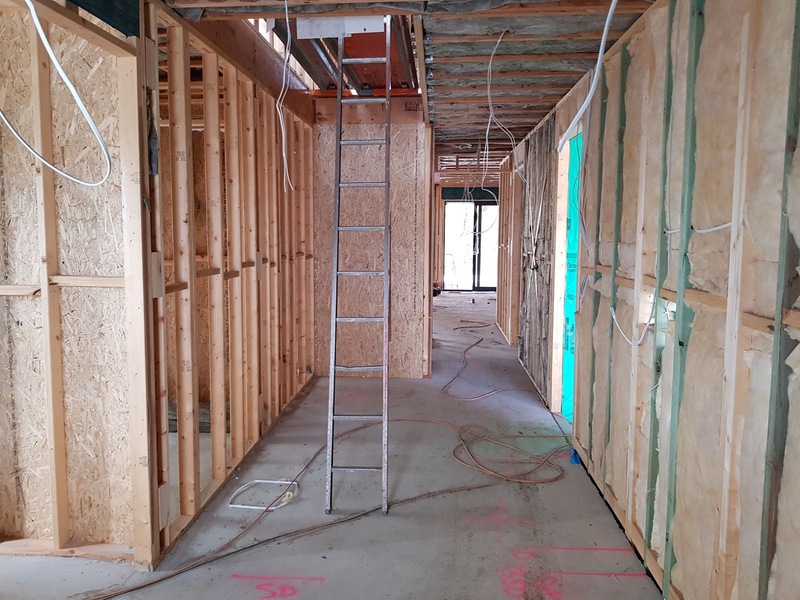 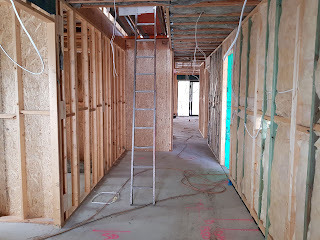 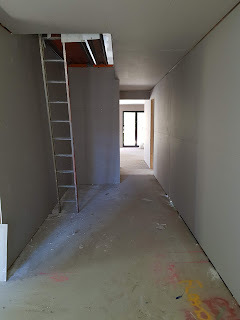 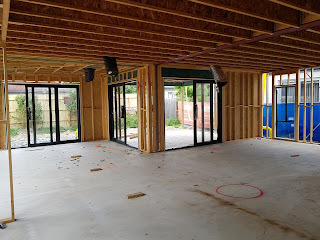 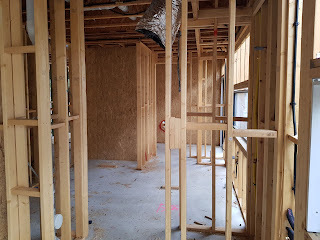 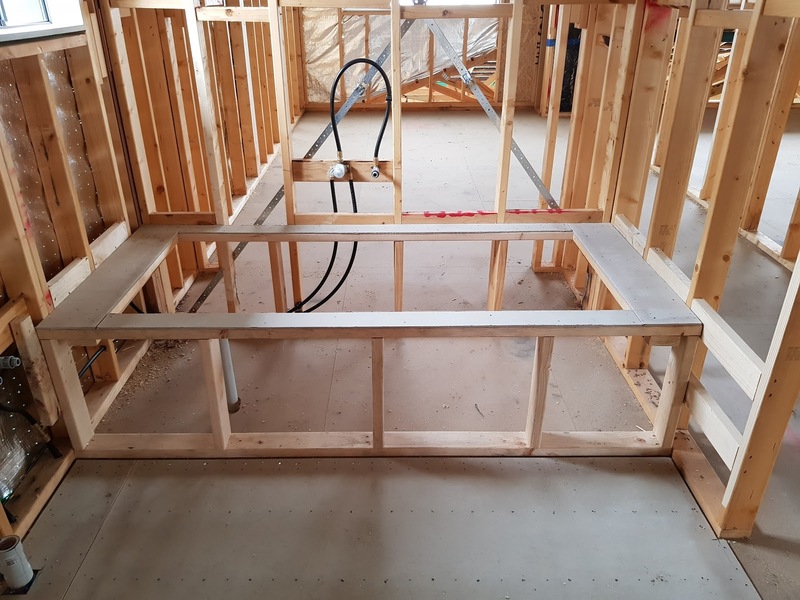 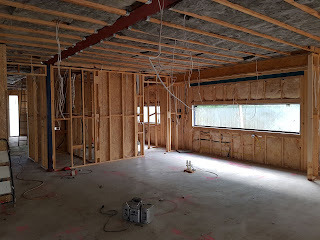 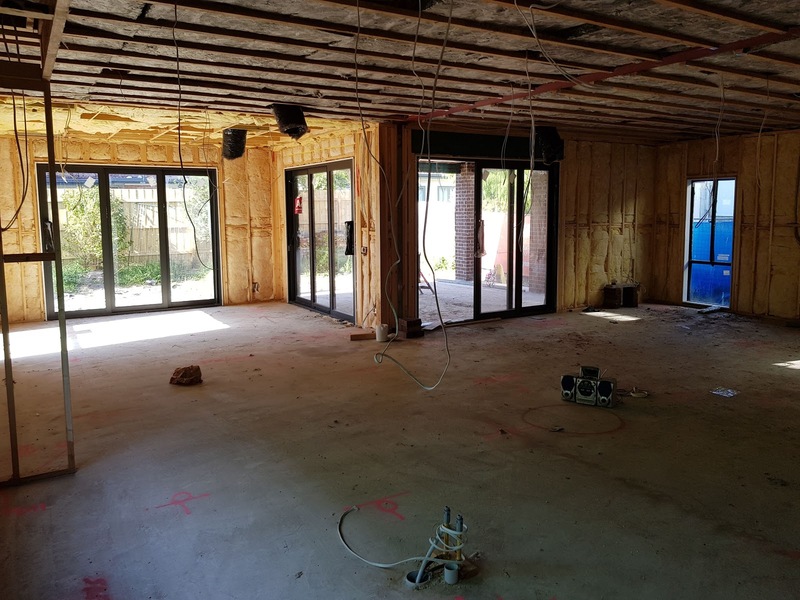 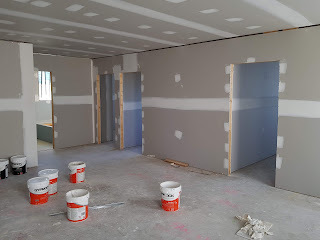 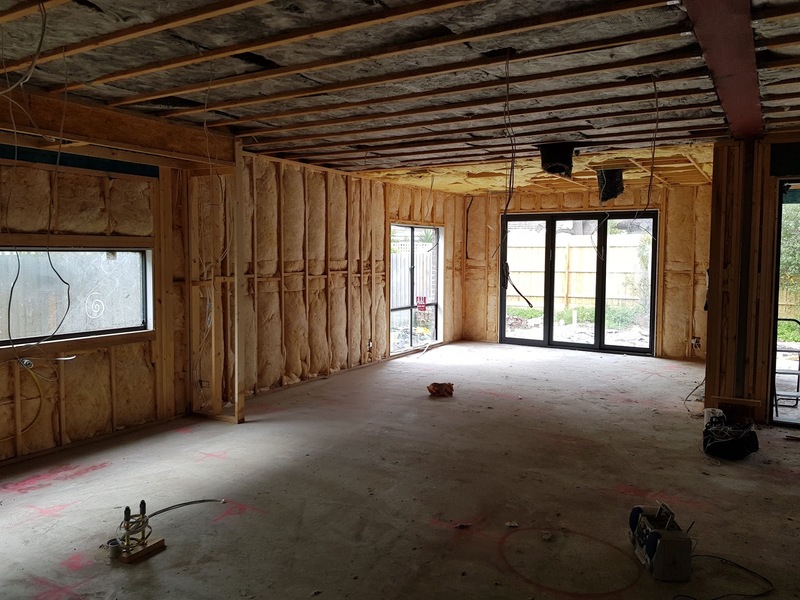 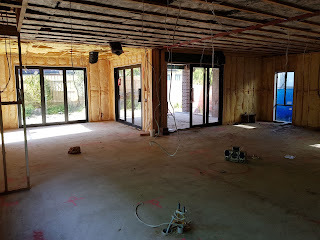 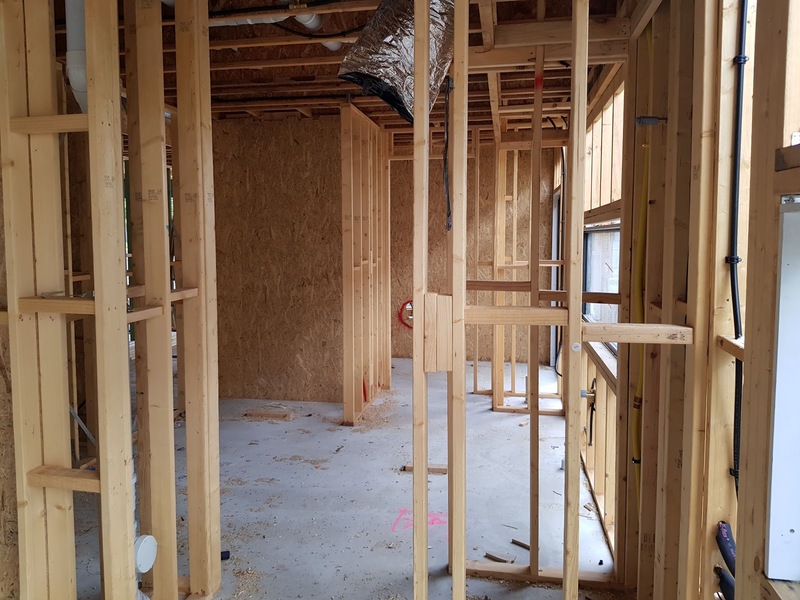 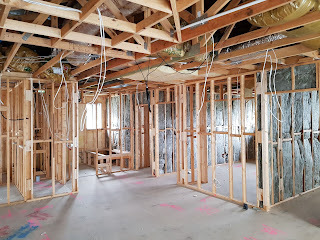 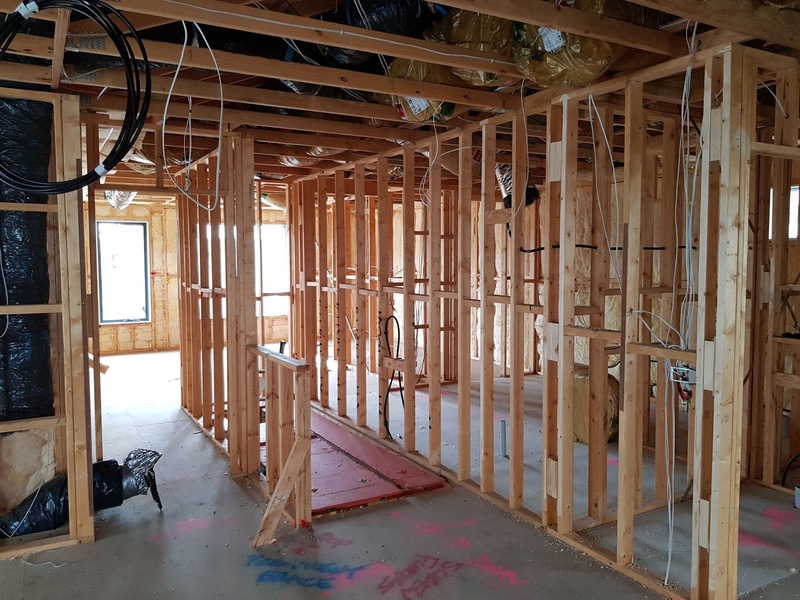 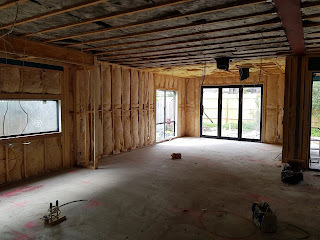 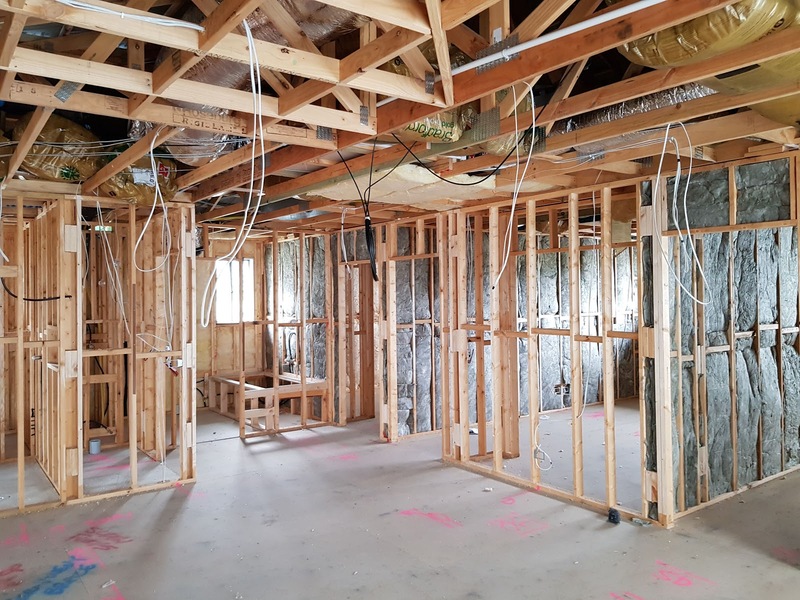 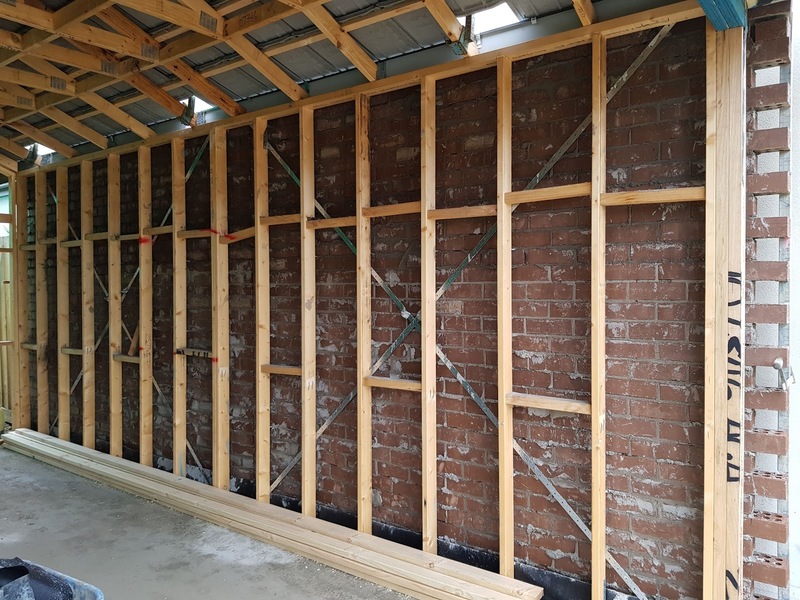 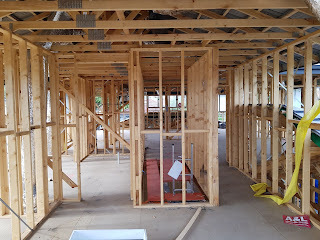 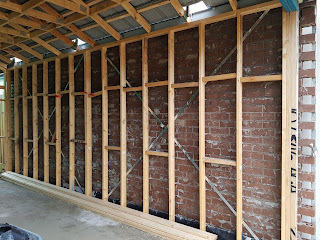 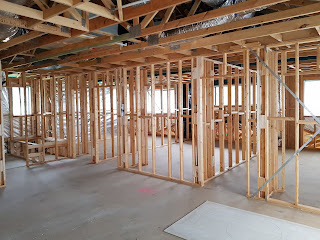 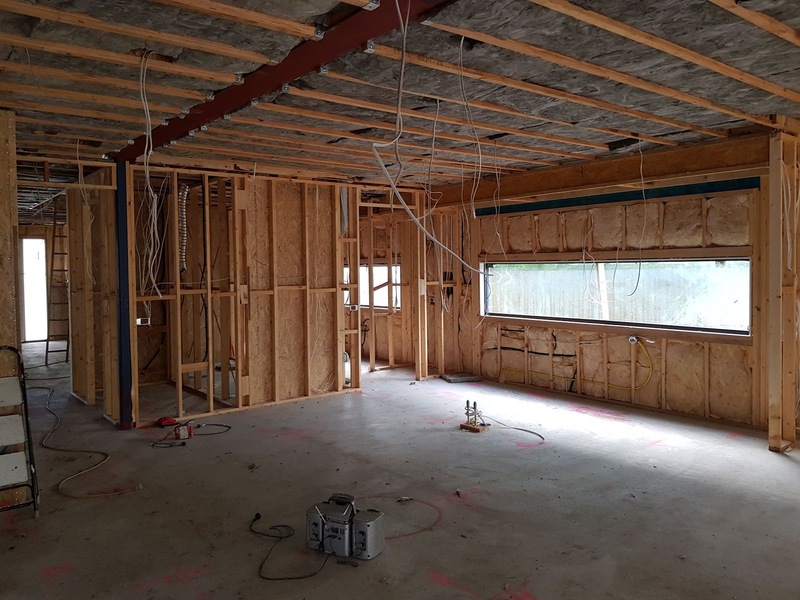 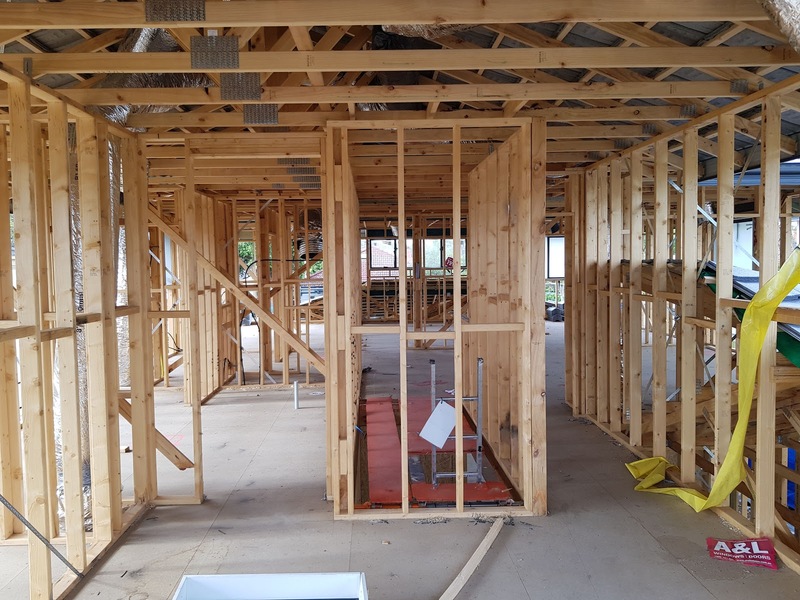 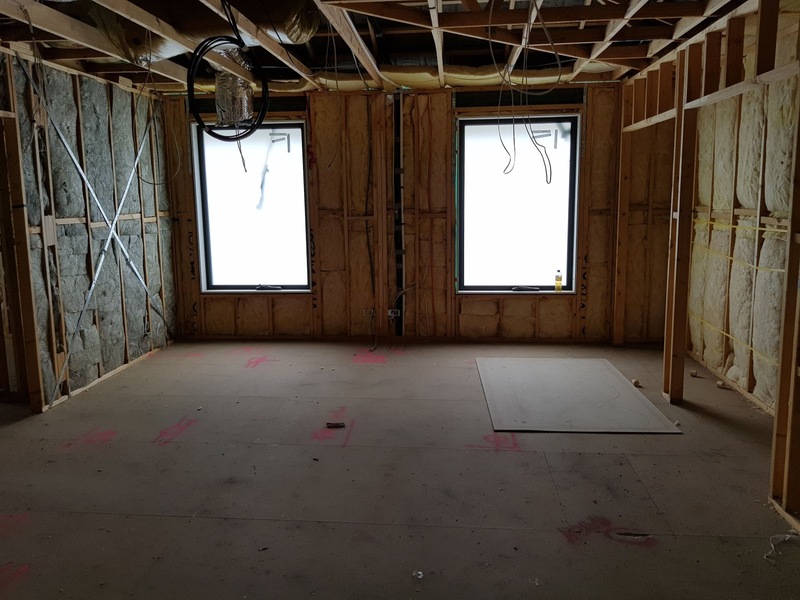 There is also still timber work going on inside, finishing up loose ends before plasterboard apparently starts next week. 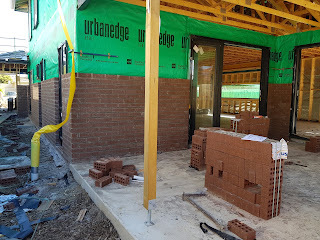 By the way, despite appearances so far, the whole house is not going to be face brick!